Alex Rodriguez Opens a Ufc Gym With His Daughters' Help -- But Where Was Jennifer Lopez? Jennifer Lopez and Alex Rodriguez Go Glam in NYC for Friend's Wedding -- See the Pic! 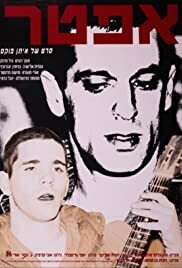 This is one of the earliest works of Eytan Fox (later came "Yossi & Jagger" and "Walk on Water"), and for gays, or those so interested, it's one of the most satisfying. It's a story of an Israeli Army unit in training and on short leave, of it's lieutenant leader and, most particularly, one of its young soldiers. Yonatan (Jonathan? ), impressively played by actor, Hanoch Reim, is in the final stages of realizing who he is, sexually, and it is absolutely amazing to watch his reactions and growing response to the handsome young unit commander, a part also well-played by Gil Frank. While many sections of this short, 45 minute film are slow going (unit training interactions and the fun "behavings" of young soldiers on short leave in Jerusalem), it is when the film concentrates on Yonatan, especially during time spent in a city park, that we get most drawn in. A scene in the park men's restroom is almost palpable and one of the most arousing I've witnessed. Hanoch Reim gives us "a study in pure longing." The response he creates leaves no doubt in our minds as to just where he wants to be, what he wants to be doing, and with whom. (How CAN one do that, with just eyes, facial expression and the very slightest of head movement?). It is rather surprising that, with one exception, young Reim doesn't seem to have gone on to later film performances in the succeeding 15 years. Frank, on the other hand, has kept somewhat busy, particularly in Israeli TV. But in this film, precursor to "Yossi & Jagger," at least Reim has left us with a most indelible performance.